The financial structure of a country is inherently related to its economic structure, and financial development and economic development go hand-in-hand, interacting in mutual causation and effect. Among the ASEAN countries, Indonesia, Malaysia, the Philippines and Thailand are primary producing countries, whilst Singapore is a small manufacturing-trading economy and an open international port. 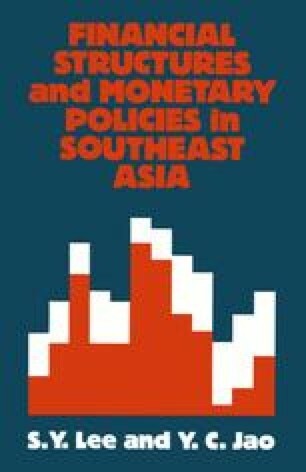 Because of differences in general characteristics and in historical development, problems of banking and finance in the ASEAN countries are somewhat different, showing some special features.